Procedural shows are, by definition, formulaic. They require each episode to be pretty much self-contained, and rather than have long-format story arcs over the course of a season or longer, each week contains another cookie-cutter story. I get super bored with procedurals. Really fast. Following the same formula every week is extremely repetitive and – even worse – predictable. A lot of times procedurals start to fail when the viewers learn to predict the end of the episode shortly after it has even begun. Sure, if the particular case at hand that week is especially interesting, they’ll still keep watching, but they know what is going to happen anyway. Most procedurals deal with law enforcement agents, doctors, or courts. One great example of (a good) procedural is The X-Files, which had a different paranormal phenomenon to be investigated and solved every week. The important thing, though, is that it had more than just stand-alone, self-contained episodes. Instead, it combined its case-of-the-week with an overarching plotline of mystery, corruption, and intrigue. Beyond that, it is the characters that carried this long-format narrative. Without Mulder and Scully, you have no X-Files (as evidenced by how absolutely dreadful the series became in the later seasons). Despite the sense that procedurals are destined to die, it is entirely possible to write a great one. This PopMatters article uses the example of Bones to discuss the need for strong characters in procedurals in order for them to be successful. This is a key concept for television writers to take into consideration. This entry was posted in Reviews, Television and tagged Bones, characters, formula, Mulder, procedural drama, procedurals, Scully, television writing, X-Files. Bookmark the permalink. Glad to see you’re still reading, Cyndi! I’m still catching up on Castle – I’m a little ashamed I did such a bad job of keeping up because, well, it’s Nathan Fillion and I love that man like nobody’s business. 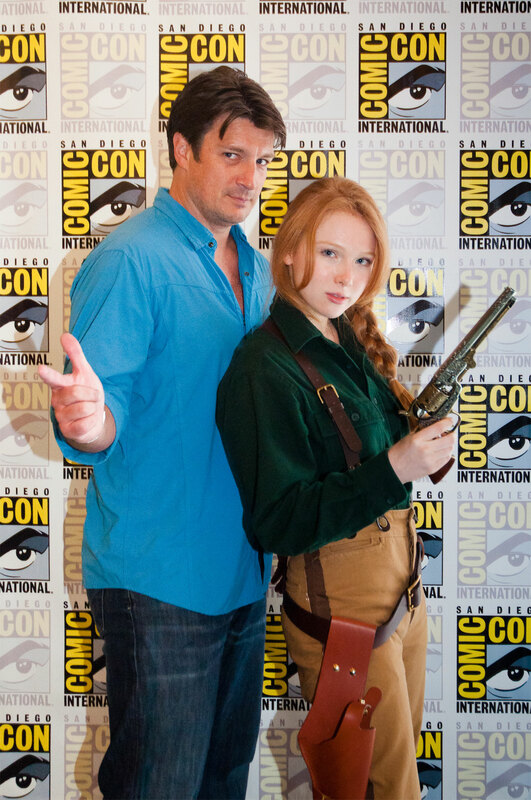 (Just came across a picture today that you might like if you’re a Fillion/Firefly fan.) I totally agree that they also have the Scully/Mulder slash Bones/Booth dynamic going on. Clearly it works well! Thanks for reading, and for commenting as well!